Comfenergy is Virginia’s locally-owned and operated energy services company, specializing in solutions designed to improve the overall comfort, health and energy efficiency of a residential or commercial building. Before becoming a Dr. Energy Saver dealer, co-owner John LeVan worked in the mold remediation and indoor air quality business. John recognized a need to not only clean up and remove mold and moisture build-up, but to solve the problems that cause the mold and moisture issues in the first place. Since joining the Dr. Energy Saver network, John has joined forces with co-owner Justin Dobson and renamed the company to Comfenergy. While new to the network, Justin has a wealth of experience solving home comfort and energy problems. John was a Mechanical Engineer by training, who developed a career in Production Management. He ran manufacturing plants that built Sears and Rigid Shop Vacs, Ladders sold by Louisville and Davidson Ladder and other industrial products. John has worked for the past decade in the Insurance Restoration industry running and growing businesses that have helped fix damaged properties. Comfenergy grew out of recognition that many providers of Mold Remediation and Indoor Air Quality Improvement did not offer solutions to the root cause of the problems property owners were having. These providers were offering to clean up the result of moisture and air intrusion problems without talking the root cause of the issue. The products and services offered by Dr. Energy Saver not only address these issues, they also increase the comfort level of the property occupants, and reduce wasted energy. The founders are excited to share the technical skills learned in restoring damaged properties to the improvement projects offered by Dr. Energy Saver. 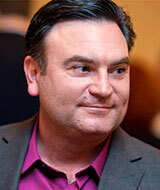 Justin Dobson has more than 25 years of experience in the home services industry. Doing work for residential and commercial clients throughout Northern Virginia, Justin developed a passion for solving customers’ comfort issues and high energy costs, leading to the creation of Comfenergy in 2010. 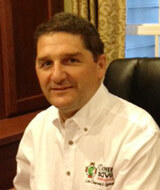 He currently focuses on marketing and business development, providing customer-centric solutions for HVAC needs. Under his leadership, strategic growth and partnerships have been key strategies for Comfenergy’s success. In 2016, the company acquired a regional organization to enhance the services provided in the home performance sector. Since partnering with The Property Doctor in 2014, Comfenergy has nearly tripled its workforce and more than doubled its revenue. Justin got his start in the family business, R.A. Dobson, Inc., in 1995. Under Justin’s leadership, R.A. Dobson was recognized by Carrier Corporation on three separate occasions for excellence in service leadership. Additionally, R.A. Dobson was endorsed by the Loudoun County Chamber of Commerce as the Service Business of the Year in 2009. His success in leading two separate companies led to his recognition as the 2015 Entrepreneur of the Year with the Loudoun County Chamber of Commerce. Justin remains active in the Chamber, the Home Services Solutions Group, and Association of Air Conditioning Professionals. Comfenergy supports the local community through various philanthropic activities, including an annual give back program. The program is currently working on a project with Loudoun Abused Women’s Shelter. Justin is a graduate of Virginia Tech University with a bachelor's degree in marketing management and a minor in sociology. He and his family reside in Loudoun County, Virginia. 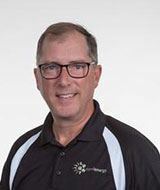 Peter is an accomplished leader with a reputation for adding value, finding creative solutions to meet customers' business needs, and delivering on corporate objectives. He is an expert in Financial and Product Management and multiple facets of Business Operations including Strategic Planning, FP&A, Contract Negotiations, Vendor Management and Sales Support and is experienced in all phases of corporate evolution including start-up, aggressive growth periods, operational control implementation, bankruptcy and turnaround opportunities. Peter has broad financial experience through management of a $250M annual operating budget, developed business models and strategy from the ground up and orchestrated capital financing strategies in excess of $15M over a five-year period. He has a Bachelor's Degree in Economics and Finance from the University of Hartford. 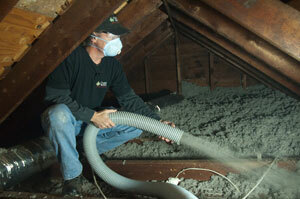 Identifying the root causes of your comfort and energy efficiency problems can be a difficult task. The problem with contacting an HVAC company when you run into these issues is that most will only check the operation of your heating and cooling system and inspect the ductwork for leaks. Here at Comfenergy, our technicians are trained to evaluate all the factors that contribute to the efficiency and comfort of a building: the HVAC system, ductwork, and the building envelope. We will thoroughly inspect your space for things like air leakage, missing or poor insulation, and heat loss, as well as diagnose the performance of your heating and air conditioning systems. Our goal is to make your home or office more comfortable, increase your energy efficiency and prevent mold and moisture issues by maintaining consistent temperatures, proper humidity levels, and healthier indoor air quality. Free Estimates! – We provide free cost estimates for each and every service we provide! We are energy professionals and community leaders! Mission: Creating healthy, comfortable, energy efficient homes and work environments by providing value through people, products, and processes. Safety- We value our employees and customers health and safety. We work at all times to follow safe work practices. Quality- Quality of our work is of paramount importance to achieve our mission and vision. We must provide best in class quality in workmanship, cleanliness, and product selection in order to meet and exceed customer expectations. If we fall short we will proactively take actions to correct it. Service- We take actions required to set and then exceed customer expectations. We do what is reasonable and sometime unreasonable to provide WOW customer service. Efficiency- We are in business to make a profit. We work at all times to use resources we are provided with care in order to provide value to the customer and a return on investment to our stakeholders. Comfenergy has built our strong reputation and recipe of success by our commitment to customer expectations, quality management and employee dedication to delivering superior results. The principals in the company have been in construction for over 20 years. Experience includes Insurance restoration, basement waterproofing, water damage restoration and cleanup, crawl space restoration, drainage projects and general repairs. Don’t let your home discomfort get the better of you this season! Contact Comfenergy today for a Free Estimate to see the difference our solutions can make in your home. As leaders in the local community and with the dedicated staff at Comfenergy you can’t go wrong!